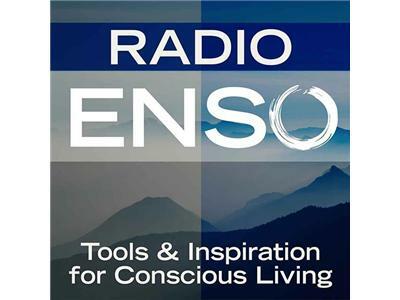 Join me Monday, September 16th at 6 p.m. Pacific/9 Eastern on Radio Enso. My guest will be creative alchemist, consciousness lover, and community builder Victoria Fann, who is obsessed with life’s big questions. Victoria joins us to talk about her new book It Takes Two to Know One: A Guide to Sacred Love & Intimacy. About: Victoria Fann is an on-the-ground street mystic and soul guide, alchemist and creative muse whose mission is to stir up the sleeping genius within. A serial entrepreneur for over thirty years, her work draws on a myriad of life experiences including decades of training in meditation, visualization, affirmations, intuitive inner work and journeying, emotional and physical healing, mystical awareness, and connecting with Source. Her current work involves inspiring and empowering people to live life on their terms and open themselves up to their highest joy. Victoria is also a writer obsessed with life’s big questions. She loves to hang out with her Muse mixing up the creative juices with playful explorations and deep inquiry into the realms of consciousness, mysticism, psychology and philosophy. The transformative power of groups is another of her passions that began with the founding of her first writing group in 1989. Many years/groups later, Victoria had a vision of gathering men and women together to talk about love, leading her to co-found and co-facilitate the Meetup group, Enigma of Love. A year-long experiment that tapped into the collective experience and wisdom of two dozen men and women, the idea evolved into hew new book It Takes Two to Know One: A Sacred Guide to Love & Intimacy.